Amongst other things, I write. 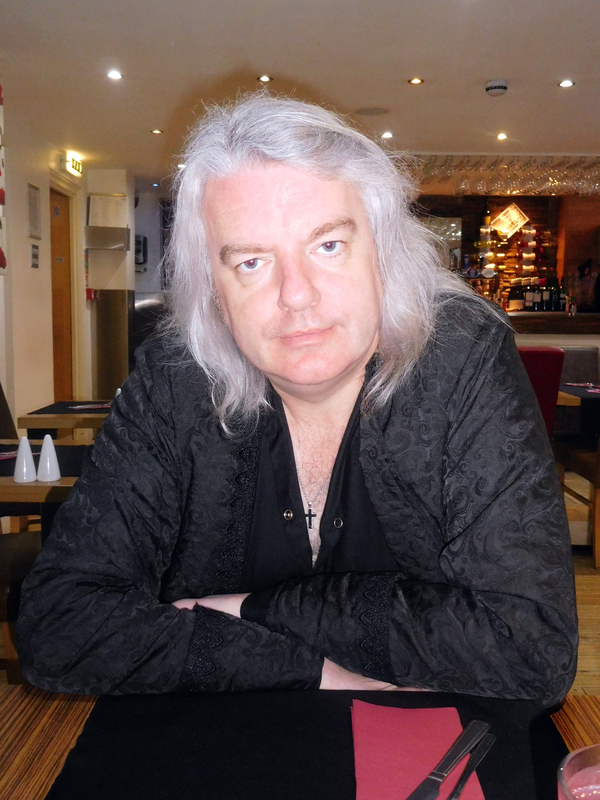 I primarily write about music, theatre and sport. I’ve been published in a lot of newspapers, journals and on the internet – everything from locals to nationals, both in the UK and in the USA. I’ve written sections of a couple of good books too. I’ve been writing professionally for 30 years. I hope you enjoy the blog “Twilight Dawning” where most of my newer pieces will appear as soon as they are ready to go public. Many of them will have appeared somewhere else first but usually in shorter form so this is the place to have a look if you want to see the whole article before it was cut for space restrictions. If you are looking for something I have written about one of these artists, it would probably be on this website, on the artist’s own website or available by searching the web by my name and the artist’s name. Otherwise, it rests in my archive and it may appear on this site one day when the goblins and elves have finished with their scanning, typing and editing. My theatre writing concentrates on performances of the plays of William Shakespeare and within that particularly the work of the Royal Shakespeare Company (RSC) in Stratford-Upon-Avon in England. There are reviews here of most of their Shakespeare-related productions from the last 10 years. My sports writing is usually about the New York Yankees about whom I write two columns a month during the baseball season and periodic updates during the other half of the year. I occasionally write about the British football team, Leeds United. I also work in the charitable and faith sphere. I’m senior pastor of an unusual church in central London. It is the sort of church which seeks to be evangelical, compassionate and Christian. Orthodox (in the theological sense) without being mainstream. We also have a theatre. Take a look at www.ravenscourtarts.com for more information. It hosts amongst other things The Shakespearience, a charitable, professional theatre company which exists to promote the works of William Shakespeare amongst schools and young people. I also present an occasional one man show “Darren Hirst – Monologues and Soliloquies”. I have a band “Outre Dan Steele” who are available for bookings for birthdays, bar mitzvahs and parties… Seriously, we would be much more at home in an arts centre, if you want to scare your friends with something a little Avant Garde. I’m also a husband and a father. There must be something I’ve forgotten. (If you’d like to quote from anything here, please get in touch). The end of the world may be coming but with it comes the promise of a new day. Twilight Dawning. Can you confirm that both were made? The number in brackets is my reconstructed international number. I assume that this is what’s printed on them, but I can’t actually ascertain this, as I have never seen these albums myself. I’m trying to find out more, but these albums must be very rare indeed. Any further info (images…?) you might have on them will be really appreciate. The discography isn’t exhaustive but more a guide to the easiest way to track down each album today. However, I work for the band in various capacities and my collection covers most everything. There were re-releases of both of these albums after the success of Everyday Hurts in the UK (Misplaced Ideals had the different cover with the family on the beach, which btw the band hated). The catalogue numbers were 25132 and 25133 with a prefix which depended on the country of origin. The vinyl had an orange label like the pre-1980s RCA.